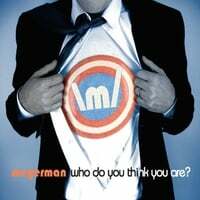 CD of the Day, 9/20/11: Meyerman-Who Do You Think You Are? It's easy for me to become complacent about all the power pop (as broadly as I definite it on the site) I listen to, to the point where it can kind of fade into the background. Don't get me wrong - just about all the music I listen to and review on this site is music I really like, or even love, and is worthy of your listening time (and dollars). But a few times a year I get shaken out of my complacency when I get to hear a record that makes me say to myself "this is why I listen to power pop". Who Do You Think You Are?, the debut album from New Jersey's Meyerman, is one of those records. This is classic Power Pop with 2 capital P's. It's also very "meta" - a power pop album which is mostly about being in a power pop band and a band's relationship with its audience. So while it has the sound of a number of power pop bands running through it like Cheap Trick, The Raspberries, Butch Walker, The Shazam, it has the looking-at-it-from-the-inside sensibility of The Replacements or Local H. Opener "Intro Tonight" basically thanks you for listening, and rewards the favor with an infectious, melodic tune that all but invites you to handclap along. They continue this "opt-in" request with "Permission to Rock You", another throat-clearer that still rocks, and finally get down to business proper with "Get to You", one killer hook and riff after another that you'll swear you heard before but sounds fresh and new. Elsewhere, "Seconds" is a tough rocker that's wistful yet crunchy, and if "Immaculate Mansions" gives you a 60s/70s classic rock vibe, it's probably because the album was mixed by The Grip Weeds' Kurt Reil, another feather in its cap. "Tour of Japan" continues the self-referential theme with an ode to how our kind of music is more appreciated overseas than in the USA while its "teenage symphonies" line is a nod to Brian Wilson (and by extension, Velvet Crush). Meanwhile, "New Direction" is a footstomping number that explores the tension that occurs when a band offers a new sound which risks alienating its fans while trying keep from sounding stale, and "Indecision & Inertia" honors its title by being a halting, midtempo number, yet still works. If anything, Who Do You Think You Are? could be considered the "Community" of power pop albums. Like the TV show, it's very much about itself while still delivering the goods, ironic but not sardonic. On the one hand, it rewards you for being in on the joke while on the other it's still an excellent representative of its genre if you'd rather not think too hard about it. Boston's Peter Baldrachi is back with his first new material since 2007's Solid Ground, and it's a teaser 2-track single download-only release in advance of his forthcoming full-length Tomorrow Never Knows (that title sounds familiar, eh?). Normally I don't review singles, but these two tracks are so good I've made an exception. 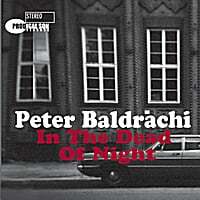 "In the Dead of the Night" is Grade-A power pop, all loud guitars, hooks and harmonies. And the non-album B-side "Picture on My Wall" is so good that it makes me wonder how there could be 9-10 better tracks that beat it out to make the upcoming album. Get these on your iPod or music player of choice right away, you won't regret it. Baby Scream-Secret Place. Juan Pablo Mozzolla & Co. are back again with their third full-length in three years, and Secret Place finds Baby Scream branching out from the (mostly) mellow Lennonesque pop they've become known for. There's a reggae track ("Cold Weather Reggae"), some neo-soul ("Patiently") and a T. Rex cover ("20th Century Baby") to spice things up, and the opening track "The Last Call" has a rootsy, Band-like feel. But those who come for the languid, melodic pop of the previous releases won't be disappointed either - "Hit and Run" and "London Sun" are standouts in this regard. Mozzolla continues to refine his craft, and we're the better for it. 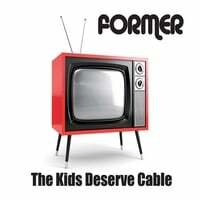 Former-The Kids Deserve Cable. Since the release of 2008's And Nothing But the Truth, Former's Denny Smith has been busy with The Great Affairs, releasing 2 full-lengths and an EP. But here Smith puts his alter ego aside for another turn of hard power pop that has more in common with Butch Walker and Cheap Trick than the mellow roots pop of his other band. The frenetic "Head Light" lets you know where you stand right off the bat with a driving hard pop beat that recalls the Foo Fighters. "How Does it Feel?" steps off the accelerator a bit but still rocks out in a Steve Bertrand/Rob Bonfiglio fashion, while "Sister" has that Walker's kind of swagger. And "Lie to Me" is a flat-out classic (see video below). For those who want to emphasize the "power" in "power pop", this is your disc. 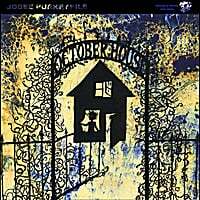 JoDee Purkeypile-October House. If the name sounds familiar to you, it's because JDP was the frontman of The Alice Rose, a Texas band who put out a pair of outstanding Jon-Brion-meets-Squeeze indie pop albums in the last 5 years. The obvious parallel here is Greg Pope; like Pope, Purkeypile plays all the instruments here, and in the same manner as when Pope left Edmund's Crown, the solo flight has allowed Purkeypile to distill the essence of the sound he first forged in the band setting. So this is more Jon Brion than Squeeze, and that's a good thing here as "Disappear from Here" is among the best songs he's written, a swirling pop gem in a minor key. "Your Days Ends as Mine Begins" is first-rate guitar pop, and the rollicking "Company Man" has a Jellyfish by way of Michael Penn vibe. Elsewhere, "Summer Sunday" is a lovely slice of mellow indie pop, and the propulsive "Autumn Mind" channels Neil Finn. I could see this one ending up in 2011's top 20. Marshall Holland-Statistically I Should Say. San Francisco's Marshall Holland put out an overlooked gem in 2004 titled Don't Jettison the Memories, an album of first-rate power pop in the style of Brendan Benson and The Posies. He re-released it last year, and has followed that up with Statistically I Should Say, an EP of new material. Don't miss him this around, as this might be the best power pop EP of 2011. From the urgent opener "Your Lies" to the perfect power pop of "I'm OK (for Now)" - the album's best track - to the buoyant, synth-happy "Meet Me by the Blue Balloon", Holland give us a welcome return. So after you've digested this confection, make sure you go back and get Don't Jettison the Memories.